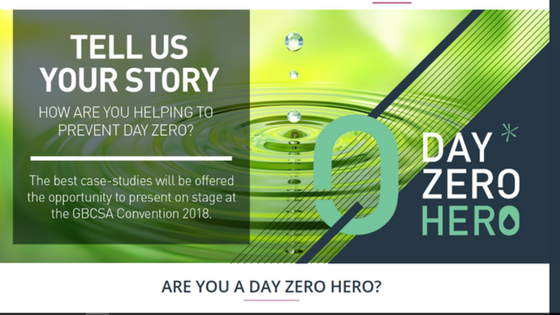 Are you a Day Zero Hero? We’re looking for architects, engineers, project managers, developers, designers and product developers… anyone who has been working to create more water-efficient residential and commercial buildings. This year, the Green Building Council of South Africa celebrates heroes who are helping to prevent Day Zero. Tell us how you’ve reduced water consumption in a building or building project you’re involved in. Submit a 2 – 3 page summary on your water saving initiative and the impact that it has had. Submissions close 01 May 2018. Winning case studies will be presented at the GBCSA 2018 Convention.